Tokai Forum - a subsidiary of TokaiRegistry.com :: View topic - ObG 57 reissu pickguard replacement..?.. Posted: Fri Mar 21, 2014 5:22 am Post subject: ObG 57 reissu pickguard replacement..?.. As anyone ever tried to find a replacement?..i bought a ObG 57 reissu but it's missing the pickguard..and knowing the Japaness stuff is not exactly the same..don't wanna start buying randing stuff.. 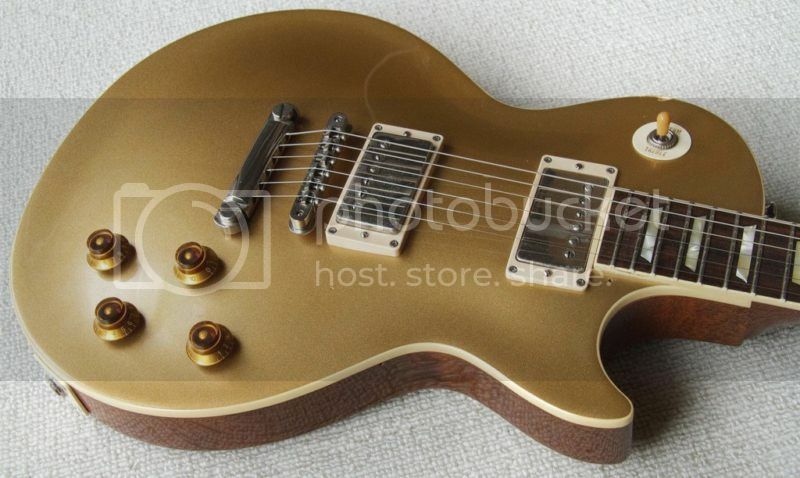 This is the guitar itself.. I?ve got a few OBGs?. ?and before they were discontinued a couple of years ago, the best aftermarket fit PGs for OBG LPs I ever found were the ?Creme ProLine Les Paul Pickguards.? Unless the pickup rings have been changed out, those fit quite well (holes line up right, fit the pu rings spot on) and look really good. If you find one used or a music store that still has some in stock, make sure that?s the exact part name because other Proline PGs don?t fit so well. Otherwise, my experience is that Epiphone replacement PGs usually fit OBGs good enough, but the ProLine LP PGs were the best.